If we heard that nice, handsome Colin Firth had a fling, we'd barely bat an eye. The variety of sexism that judges men less harshly for ill-judged romantic relationships is alive and well, after all. Also he's a film star and opportunity must be in abundance - women throwing themselves at him and all that. Generations of film stars before him have found it hard to resist the appeal of adoration, so why should he be any different? But it hasn't been in the news that nice, handsome Colin Firth had a fling. No, instead, it was his wife Livia whose love life made the headlines last week. The couple married 20 years ago, but between 2015 and 2016, they were briefly separated - and during this time, she had a "fling" with a childhood friend, journalist Marco Brancaccia. Brancaccia was a friend from her childhood in Italy. The fact that Livia and her former lover are both Italian seemed to matter in the coverage of this romantic revelation. The Italians having different attitudes to amore, don't you know? The revelation that Livia Giuggioli (yes, she kept the hard-to-pronounce maiden name - count this woman's crimes) had a brief relationship during her brief separation came last week, on the heels of reports that she was being stalked by an old childhood friend. A criminal investigation was being conducted into Firth and Giuggioli's complaints to Italian police that this person had emailed photographs and sent threatening texts and emails. Giuggioli was also reported to be in fear that he was following her. What followed, however, were the reports, including in Italian newspaper La Republicca, that Brancaccia wasn't just an old friend, but a former lover of Livia. Suddenly it was as if the tone of the 'poor Firths' story, had altered to the 'poor Colin Firth story'. It was reported, after the story of the alleged stalking, that Brancaccia told an English newspaper the criminal complaint was a means of covering up a romantic relationship between him and Livia. A statement on behalf of the Firths confirmed the affair. "A few years ago Colin and Livia privately made the decision to separate," it went. "During that time Livia briefly became involved with former friend Mr Brancaccia. The Firths have since reunited." Plain and simple and to the point. "Subsequently," the statement went on, "Mr Brancaccia carried out a frightening campaign of harassment over several months, much of which is documented. For obvious reasons, the Firths have never had any desire to make this matter public." The Firths have apparently claimed that the alleged stalking on Brancaccia's part was due to his refusal to let go of the relationship. He is said to have contacted her electronically in a manner that amounted to threatening and stalker-like behaviour and also drawn Firth into his angst. Reports say that Brancaccia, a journalist, threatened to write about his relationship with Livia Giuggioli, and sent photos to her husband. The threat to publicly embarrass them both seems to have been part of what they allege is worthy of police investigation. Of course, any public airing of dirty laundry is embarrassing, whether you are a public figure or not. But when image is a huge part of your career and your reputation, it's a bit different to suffer a scandal. Image and public perception of who you are can shift very easily and very quickly. And it stands that to be a man, who is - regardless of whether he wishes it or not - generally considered to be an old-school sort, a decent chap, then it dents both ego and image to be publicly scorned. Because it's different being a man scorned than a woman. Even today, you won't find anyone scratching their head at the sexual peccadilloes of a man. But when it's a woman, then that's considered a rather more life-shattering risking of life and love and happiness. And in the case of Livia Giuggioli, even though they were on a break, this fling seems to have consequences that back up a notion that women shouldn't make any missteps. Toe the line, ladies, or pay the price. For his part, Brancaccia has contradicted the reporting of the case. The way he tells it, there was no stalking, just a relationship gone wrong. And he doesn't just mean his relationship with Livia. He also means Colin Firth's. "We were romantically involved," Brancaccia has said, "she wanted to leave Colin for me." 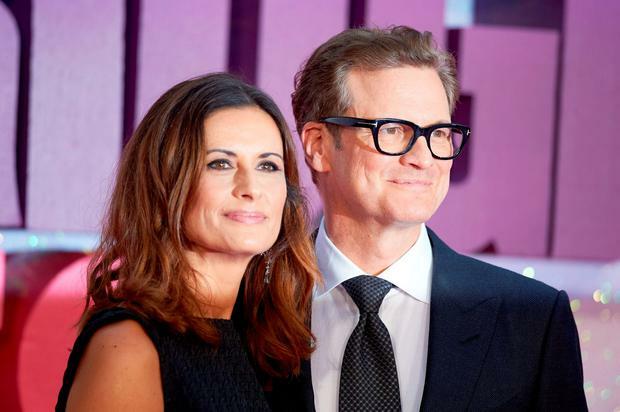 He also said that Giuggioli's marriage to Firth had been over "for years" before their romantic relationship began. Well, he would say that, wouldn't he? Though they Firths have now reunited, so it's not actually over at all. Still, however, that must smart, never mind Brancaccia's claim that Livia sent him "hundreds of messages of love, photos and videos, even a diary". Then, what Brancaccia describes is less stalking than the agonies of romantic disentanglement when one person ends a relationship that the other wishes to continue. "My 'stalking'," Brancaccia said, "consisted of two messages via WhatsApp after she ended our relationship in June 2016, and an email," he said. "I wrote an email to Colin about my relationship with Livia, which I now regret sending, and she filed a complaint against me for stalking, out of fear that I could go public with what she had revealed to me about her marriage and work." Brancaccia's lawyers have said that he has filed a legal complaint to defend his "good name and honour". Brancaccia has said that Colin Firth was "understanding" in the wake of the regretted email. Which was very decent of him, under the circumstances. It's not a pretty state of affairs, but Colin Firth perhaps comes out unscathed. Or relatively. He is, in fact, seemingly more decent, upstanding and honourable in terms of public image, as result of what has occurred. He was wronged, he is trying to do right - even if the alleged stalker disputes the accusation - and he is honourably making his marriage work since. Everyone else involved is perhaps a little less unsullied - but that's how it works, it seems.